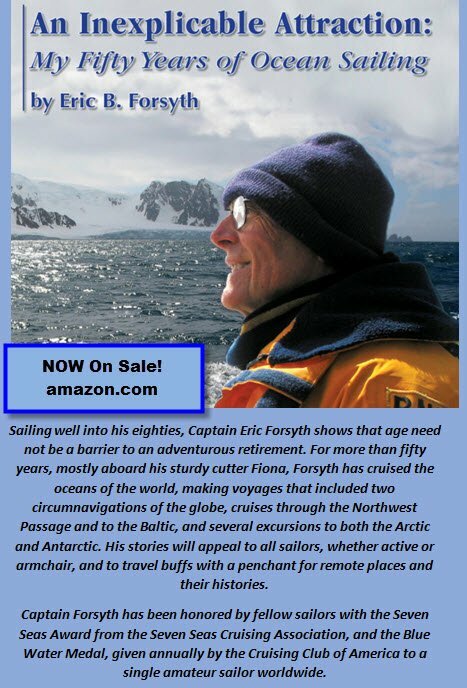 Captain Forsyth has summarized his sailing experiences in a new book published by Green Ocean Race Productions. The book details many of his ocean voyages which account for about 300,000 sea miles under the keel of this 42 ft cutter ‘Fiona’. He concludes with remarks about the inexorable depletion of fossil fuel, global climate change, and how to bring public attention to these challenges.